I ran a small company for five years and know in my heart that a business is only as strong as the people it hires. For small businesses and franchises with modest teams, each hiring decision has real impact. It costs money and time to find outstanding people, and if you get it wrong, you can disrupt your team chemistry and disappoint customers. And if you get it really wrong, a bad hire will actively hurt your team, your customers and the trust you have with both. Today, in addition to skill testing, interviews and reference checks, 80 percent of employers perform additional due diligence on candidates by running background checks. These checks, which may vary by industry, role and other factors, can give confidence that the right candidate is going into the right position. Sending a job offer should go hand in hand with building this foundation of trust. There are some background check providers who promise near-instant results at dirt cheap prices. These are tempting and you will wonder why some companies charge more and don’t promise instant gratification. Discount providers are probably relying on national databases that have promising names, like the “national criminal database,” but have major gaps in their records. These gaps can be the size of entire states that don’t participate in the database. Editor's note: Looking for an employee background check service? Fill out the below questionnaire to have our vendor partners contact you about your business's needs. To avoid being penny wise and pound foolish, look for a provider that digs deeper into the data to verify results and that hunts for records that are not reported to the national databases. Do they confirm the results of the national database search with records from local and state courthouses? Better yet, do they conduct searches of county criminal records and look for aliases such as maiden names and nicknames? The databases are not bad when used in conjunction with other, more granular searches, but you do not want to use them by themselves. Quality: As I said above, be cautious when you see the word “instant” and look for a provider that searches county records, covering many criminal records. Look for a company with more than just technology. Background screening is complicated and having an experienced team overseeing that technology makes a powerful difference. Transparency: Is the provider clear about costs? Some providers charge setup fees and most pass through local and state processing fees. Neither is wrong, but it’s not fair for you to be surprised by all sorts of costs you did not expect. Flexibility: Companies background screen new hires for different jobs and reasons. Choose a provider that offers options beyond a one-size-fits-all criminal search. If you are hiring delivery employees, background screen driving records. When bringing on a C-suite hire, you might verify education. You should be able to build the search that makes sense to you and your business. Self-service: Small companies generally need to move quickly and want to avoid a long sales and setup process. There are reasons to work with an expert to design your program, but for many small businesses, finding a self-service tool that allows the user create an account and submit an order in the same session is the way to go. Compliance: Above all, your decision should focus on a background check that complies with the Fair Credit Reporting Act (FCRA) and is accredited by the National Association of Professional Background Screeners (NAPBS). Using a service that is not compliant with the FCRA creates risk no business should accept. The right solution is compliance by design, so you can move forward with confidence and not worry about the details. Ensuring trust with your screening provider is as important as building trust with your new hires. That’s why it’s so important to choose someone with experience and credibility. Instinctively after a presentation, you know what slides worked, which ones need revisions and what you should trash. Too often, though, all is forgotten as you race to return emails, put out fires and, you know, do your actual job. By the time the next meeting comes, you'll be searching through emails and network folders for that one perfect slide, while hastily updating past messaging and branding. You waste hours, even days, piecing together another mediocre presentation that is likely rife with inaccurate information. Lost knowledge, lost assets, wasted time and lost opportunity. Presentations don't have to die. They can evolve naturally, like your business does. Given their importance in driving sales and building your brand, it makes good business sense to reuse them, even exploit them to get as much value as possible from them. A presentation management strategy lets you capitalize on your presentation assets – PowerPoints, Word docs, Excel spreadsheets, PDFs, infographics, videos, logos, or any file with the purpose of building your brand or selling your products and services. These marketing tools are strong assets that you should leverage to the fullest. This will better equip each of your employees to succeed in their role, whether that's selling more products, training new hires, driving investment, or completing a project on time and under budget. A comprehensive presentation management strategy starts with storing all slides and files in one central location. It may sound elementary, but even with the best CMS platforms, slides and files end up scattered all over the network. Commit to putting all of the latest approved content in one location and archiving old, outdated files. It's about discipline as much as technology. Now you're probably thinking, "Big deal, we already have SharePoint (or some other CMS)." There are a million of them out there. A presentation management strategy goes beyond housing all assets in one location, however. Whether you integrate this strategy into your current CMS or purchase a subscription to a dedicated presentation management platform, an effective presentation management solution should incorporate each of the following elements. This allows you to zoom in to page 26 of a 50-page whitepaper, or find that perfect slide out of a 500-slide presentation. Once you've found the file, page, slide or video that you were looking for in that proverbial haystack, you can use it right then and there. You can either present it to a client or colleague or repurpose it into a new presentation, because they're ready to present. None of your files should be lying idle, hidden in a folder where some low-level sales coordinator can stumble across them and use them, only to get lambasted by the VP of sales for presenting 4-year-old data. Rather, active files are managed, updated and permissioned to the right people, in slide format. They can be presented at a moment's notice. They are active, working assets. Have you ever bought a new shirt, only to wear it once and then feel like you've wasted your money? If you wore that shirt all the time, you'd feel great because you'd know you got your money's worth. Content is the same. When content is active and organized in a library where it's easy to find and ready to present, it can be used all the time, making it one of the most impactful benefits of a presentation management solution. A great presentation shouldn't only be used once, maybe twice, by one person in your organization. It should be used in infinite meetings by all members of your team. Reporting tracks the usage of files so you know what your people are doing, and what files and messages are resonating with customers – what's hot and what's not. Files that are never used because they aren't necessary or the product is no good can be discarded, while files that are often used can be expanded upon. These reports can help you decide where to direct your marketing resources. As a result, your content and presentation creation efforts become more efficient and productive. By implementing a presentation management strategy that includes these elements, you'll make your content and marketing resources more productive and efficient. You'll stop creating content that does not get used, and the content you do create will be used over and over again. According to this Agency, executive compensation includes retirement bonuses, which must be disclosed once they are fixed in amount. But a lawyer for Greg Kelly, a former Nissan executive who consulted outside experts about Ghosn’s deferred compensation arrangements, said that his client believed that the payments due to Ghosn were not “fixed” in amount and therefore were not disclosable. Nevertheless, an article in the Nikkei Asian Review stated that Japanese prosecutors had obtained internal Nissan documents allegedly showing that the amounts of the deferred payments to Ghosn were fixed and therefore subject to disclosure. If these documents in fact exist, they raise fundamental questions about the company’s role in any securities violation and the failure of its governance procedures. If Nissan’s internal documents show that Ghosn’s deferred compensation was “fixed” in amount, why didn’t the Chief Financial Officer include these payments in its annual reports for eight years? Didn’t Nissan have internal controls designed to assure the accuracy and completeness of its public disclosures? And didn’t Nissan’s independent auditors check the disclosures in its annual report against the compensation records for its highest paid executive? Let’s start with the last question. The independent auditor of Nissan was the Japanese affiliate of Ernst &Young, which served as the external auditor of two Japanese companies recently involved in major accounting fraud – Olympus and Toshiba. Nissan does not have an audit committee, which would be required to appoint its independent auditor and reviews its audit procedures under the laws of most advanced industrial countries. Instead, the independent auditor is effectively chosen by the company’s chairman, subject to board approval. As a result, when making close calls on the company’s financial reports, that auditor may be too deferential to Nissan management. Another problem is Nissan’s board does not have a compensation committee, which would decide the pay of the company’s top executives under the laws of most advanced industrial countries. Nor does the board issue a compensation report, which explains the rationale and metrics for setting executive compensation. Although Ghosn claimed that the board is “sovereign” on setting his pay, Ghosn had enormous leeway in determining the amount and structure of his compensation. His discretion undermined the connection between company performance and CEO pay that investors want to see. The Nissan board also has no nominating committee; its chairman chooses the independent directors, subject to the board’s approval. 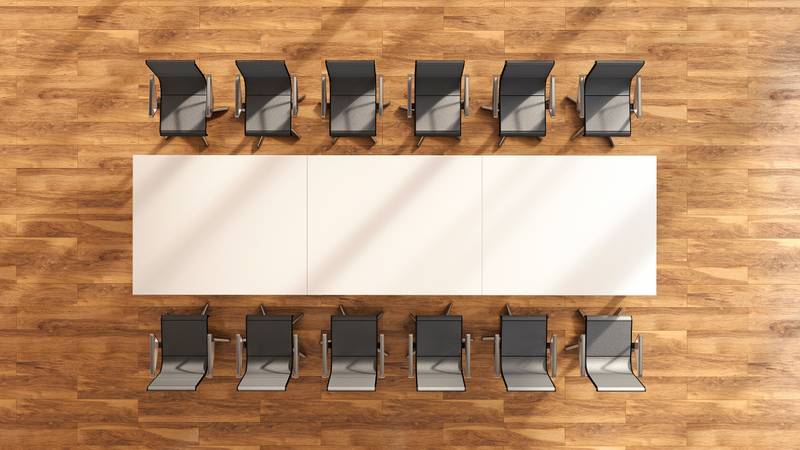 By contrast, the laws of most advanced industrial countries require the board to be composed of a majority of independent directors, who are interviewed and recommended by its nominating committee. The purpose of a nominating committee is to assure that directors are selected on the basis of competence and independence, rather than friendliness to management. Since 2002, listed Japanese companies were permitted to have three board committees— audit, compensation and nominating. However, my analysis of 3,803 such companies shows that only 22% had an audit committee and less than 1% had all three committees. In 2015, Japan reformed its corporate governance code to require boards to have at least two independent directors. Nissan was among 11 companies in Japan’s TOPIX 500 to resist this reform. In 2015, Nissan had one outside director, but he was a former Renault executive and not really independent because of the Nissan-Renault alliance. Only in April 2018 did Nissan add two new independent directors, though they both lacked business or management experience — one was a race car driver; the other was a former Japanese bureaucrat — the Chief of the International Trade Policy Bureau. After the Ghosn investigation began, Nissan did approve the creation of an advisory committee, composed entirely of independent directors. Although such committees have become popular in Japan under its new governance code, they have no real power to make corporate decisions, such as changing Nissan’s board structure. A final problem for Japanese corporate governance is the extensive cross holdings of shares between companies with close business relationships, such as distributors or suppliers. These cross holdings make it very difficult for unaffiliated shareholders to hold management accountable for sitting on unproductive piles of cash or subpar financial performance through a proxy contest or takeover bid. While Ghosn was a vocal critic of Japanese cross holdings, the Nissan-Renault alliance remains a notable example of this practice. Renault holds a 43% voting position in Nissan; in turn, Nissan holds a 15% non-voting position in Renault. Since Renault has de facto control of Nissan, public shareholders had no effective way to curb misbehavior by Ghosn or other Nissan executives. The ratio of cross holdings to total shares at Japanese companies (excluding shares held by insurers) has fallen on average from 35% in 1990 to 10% in 2016, according to Nikko Asset Management. On the other hand, the Japanese Pension Association says that at least one third of the shares of Japanese listed companies are held by “allegiant” investors — including insurers and banks as well as corporate parents, founders’ families, and other affiliated firms — who almost always vote with company management. In June of 2018, the Tokyo Stock Exchange introduced a revised version of the Corporate Governance Code, which strongly encourages Japanese listed companies to reduce their cross holdings. If that happens, it would give shareholders a better chance of holding management accountable for serious executive misconduct or poor company performance. Whatever the outcome of the criminal investigation of Ghosn, it demonstrates the need for different committee structures at Japanese listed companies. The board of these companies should have a majority of truly independent and qualified directors, who should constitute a majority of its nominating, audit, and compensation committees. The nominating committee should find and recommend new directors; the audit committee should appoint the external auditor and review the company’s internal controls; and the compensation committee should set the criteria for executive pay in advance and explain the results to shareholders. If Nissan’s governance procedures had followed these recommendations, it likely could have avoided the recent scandal. In short, Japan has taken some significant steps to improving the governance procedures of its listed companies. But most of these companies still have a way to go to reach the best global practices of corporate governance.